When tragedy strikes, you sometimes need a helping hand to ensure you are not taken advantage of. 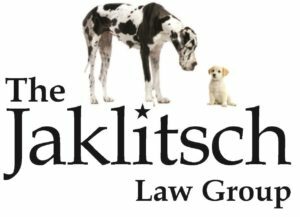 The team of professionals at Jaklitsch Law Group are here to help you receive the compensation you require to recover from any of a plethora of unfortunate circumstances. If you’ve been seriously injured due to the bad decisions of others, you don’t have to handle your situation alone. Let us be your auto accident lawyer or truck accident lawyer while you gain peace of mind knowing that your case is being handled by experienced professionals. Fast and easy settlements are a great option for many clients, but at times going to court will be in a client’s best interest. Should the insurance company or other entity try to lowball your compensation with an out-of-court settlement, we will unfalteringly take them to court to ensure that your rights are protected. We offer each of our Prince Frederick, MD, clients our full attention and commit to their well-being. Call us today at (866) 586-6079 to discuss your case and schedule a consultation.